(And by "today", I actually mean "two weeks ago", which is how long this post sat on my dashboard, which is the story of my life, just so you know). 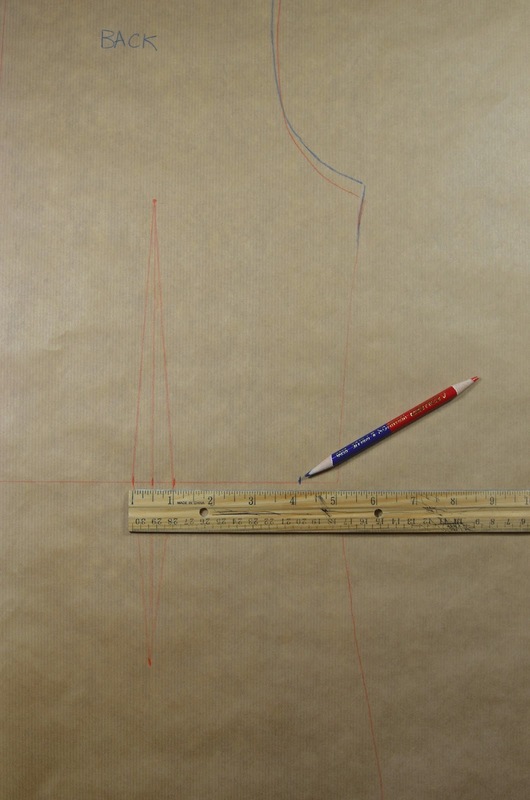 The last time we met for one of these intense drafting sessions, we established that I now have three working blocks: the French dart block with set-in sleeves. 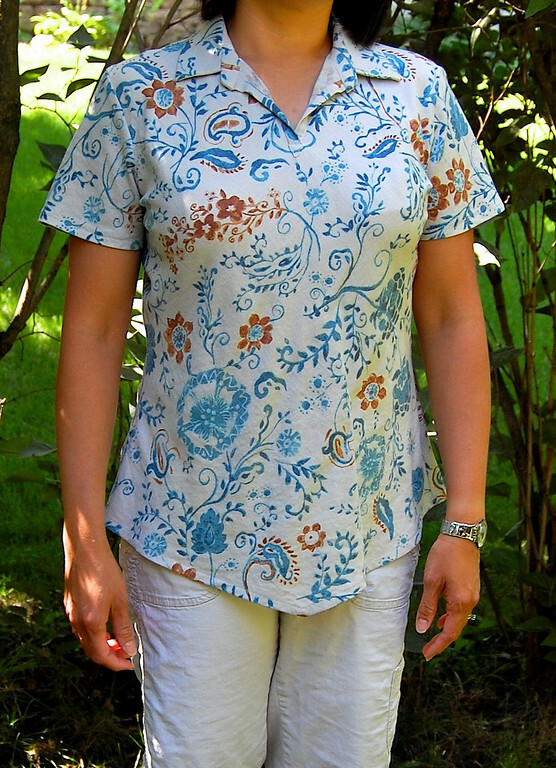 the princess seam block with set-in sleeves and the the raglan sleeve block without darts (which was drafted out of sequence from an earlier block). Today's block is the third of the set-in sleeve blocks. It's different from the other two set-in sleeve blocks in that it is dartless. Dartless blocks are very different from darted blocks in form and function. Before we look at the form, let's talk about their function, because that's easier to visualize for the layman. When sewing with wovens, the fabric doesn't give (i.e. stretch) much to accommodate the contours of the body, and must be manipulated in folds and pleats and darts in order to fit the body. 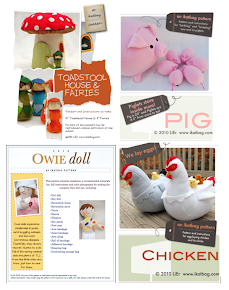 So blocks made for fitted patterns that are meant for woven fabrics must have darts. Therefore, all your dresses, blouses and skirts that have darts in them (including gathers and pintucks that serve the same function as darts) were made from patterns that came from darted blocks/slopers. Interestingly, a question that often accompanies this particular dichotomy is "How much ease do you introduce in a sloper meant for knit garments?" The response (from various sources) is equally interesting - it ranges from "no ease" to "it varies - none at the shoulders, an inch at the bust, half an inch at the waist, etc." to "negative ease". If you think analytically about fabrics, there are about a gazillion types of knits, each with their own stretch factor. Some of my knit Tshirts (particularly the 100% cotton ones) hardly stretch at all. Others which have a higher elastane/spandex content stretch all over the place. Some drape better than others. Some are thin and some are more robust. 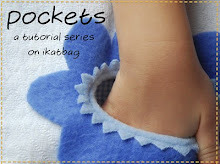 And any sewing pattern (let alone a foundation block or sloper) for a knit pattern MUST allow for the stretch factor of different knit fabrics and include instructions for how to adjust the pattern (by including or excluding more or less ease) to work with that stretch factor. If it doesn't have this information, don't buy it. It doesn't know what it's talking about. knit sloper for the particular jersey I buy online from Chez Ami, etc. which is another way of saying that if you think of slopers in terms of the fabric they might be used for, you'd almost have to make one sloper/block for each kind of fabric. 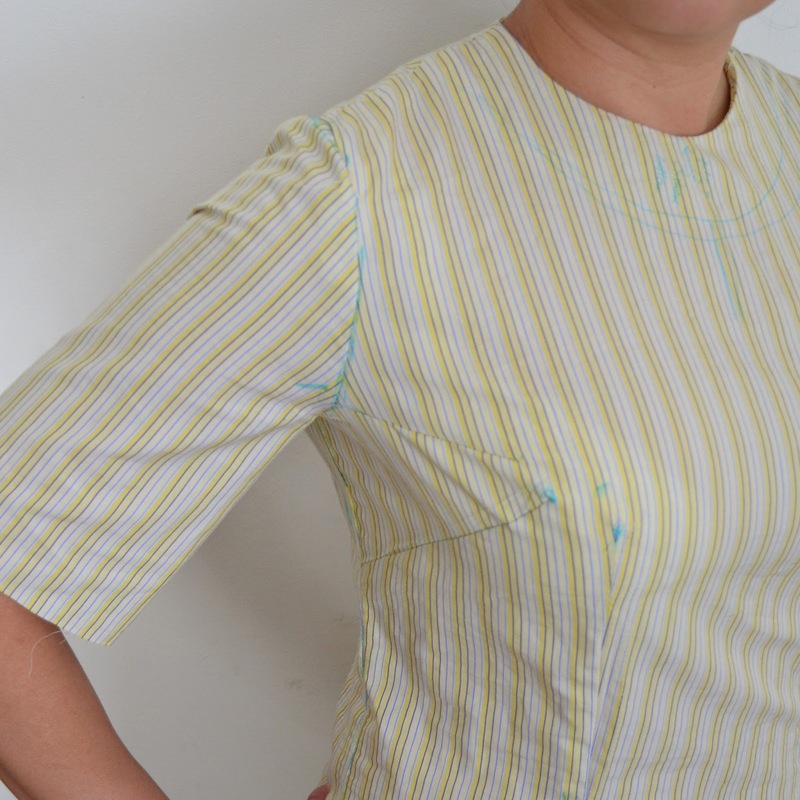 Even if that weren't the wrong use for a sloper, it isn't the most practical way to sew. Instead, today's block is, simply, a dartless block. As I said, it can be used to make patterns for knit garments (in whatever kind of knit with whatever stretch factor in whatever weight). 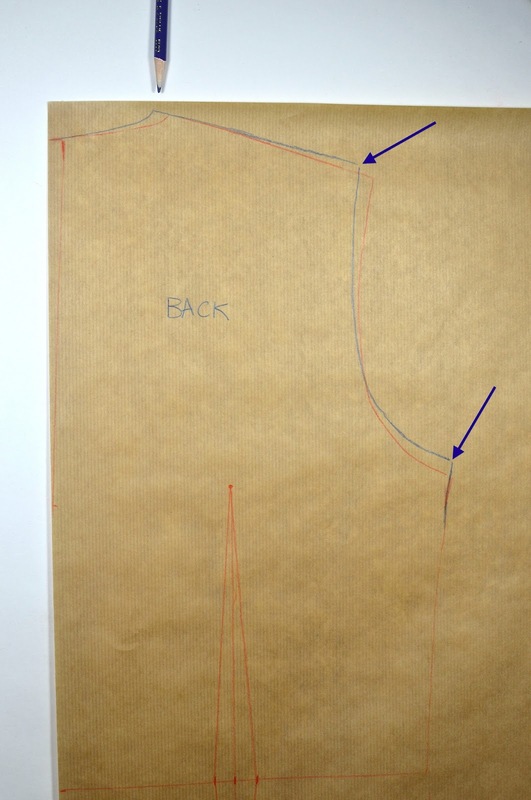 But it can also be used to make patterns for woven garments cut on the bias because those, too, don't need darts. Less vague this way and also closer to the true use for a sloper. Now that we've discussed the functions of this dartless block, let's visually construct its form. I'm starting with the back - reason made clear later. First, trace the traditional darted block onto new paper. In this tutorial, it is in red. You won't actually need this outline, because it is not the final outline (which will be in blue). However, I thought it would be useful to see the process of transforming a darted sloper to a dartless one and the two different outlines show the differences more clearly, okay? Now, as I said, this is a dartless block. This means it has no darts (duh) but it must still fit properly and not have ease in all sorts of places. This in turn means you cannot just pretend the darts aren't there and forget to sew them closed or something. You must deal them so that while they're absent, their effect is compensated in some other way. The first dart we will deal with is the neck dart. We will rotate it closed. We talked about dart rotation in that earlier post, so if you're new to this concept, you might want to head over there to read up a bit before continuing. Note the pencil at the top pointing out the neck dart. Also note the notch (pink arrow) that indicates the dart point of this neck dart, and how the center back line continues vertically downwards from that notch. So, pivoting the neck dart about that notch at its dart point, we close the dart. In doing so, the center back lines of the original block and the new outline align (see pencil indicating this). 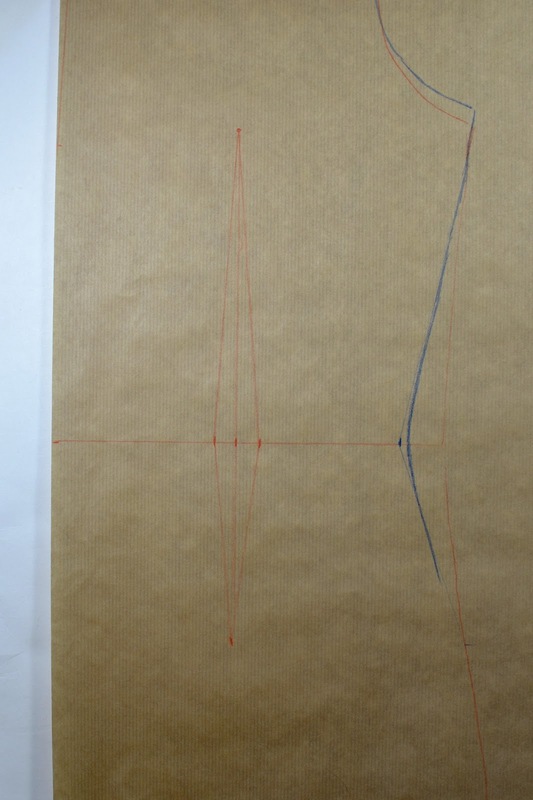 In the photo below, the red line is the original trace outline and the blue line is the new, shifted outline. Notice all the points that have shifted (indicated by the pencil and dark blue arrows): the base of neck point, shoulder point and the bottom of the armscye. The waistline has also tilted, but it's small enough to ignore for now - we can readjust it when fitting the muslin later. The next dart to deal with is the waist dart. 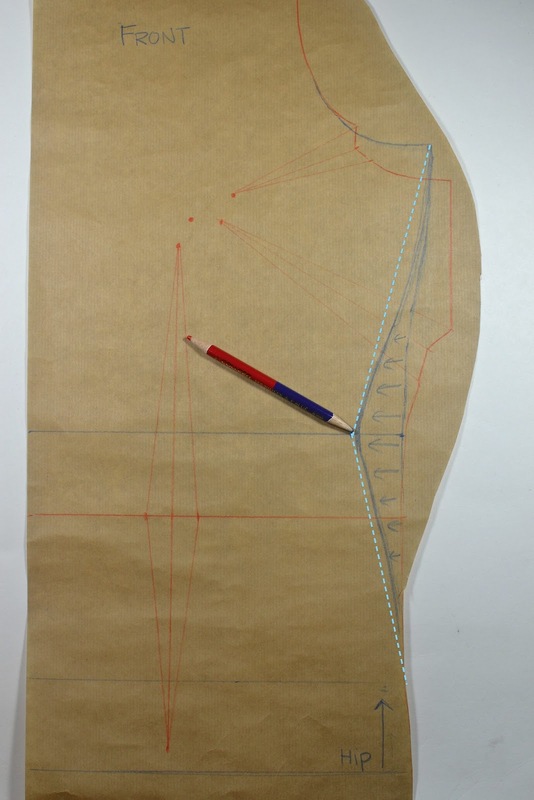 We are going to contour the side seam in lieu of this dart. 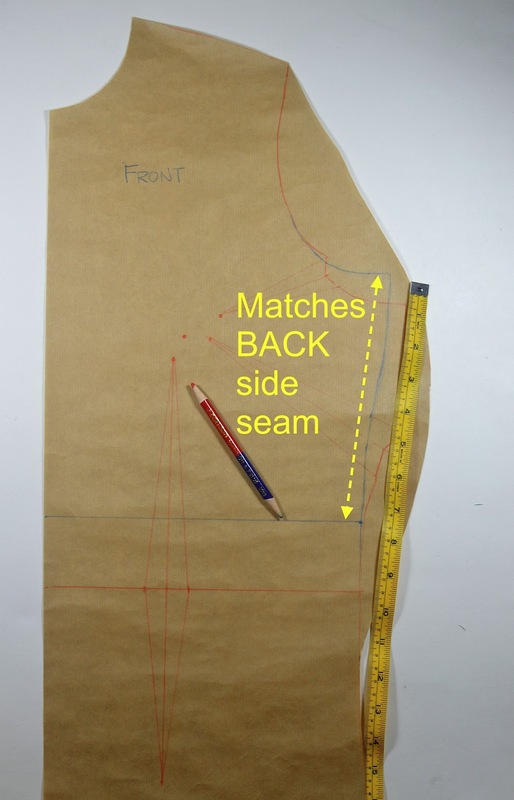 For more background on the relationship between darts and seams, this post might be helpful. 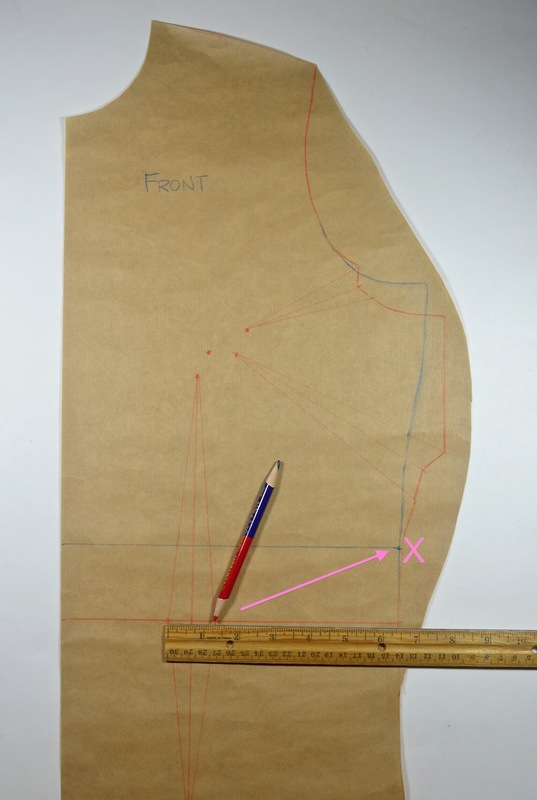 First, measure the width of the dart (1", in this block) and mark this same distance inwards from the side seam at the waistline. 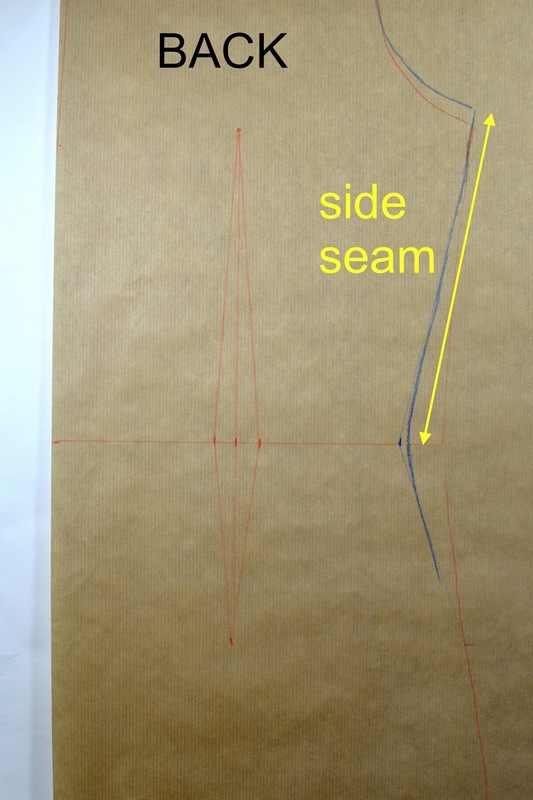 Draw a line from the bottom of the armscye to that point to create a new (preliminary) side seam. 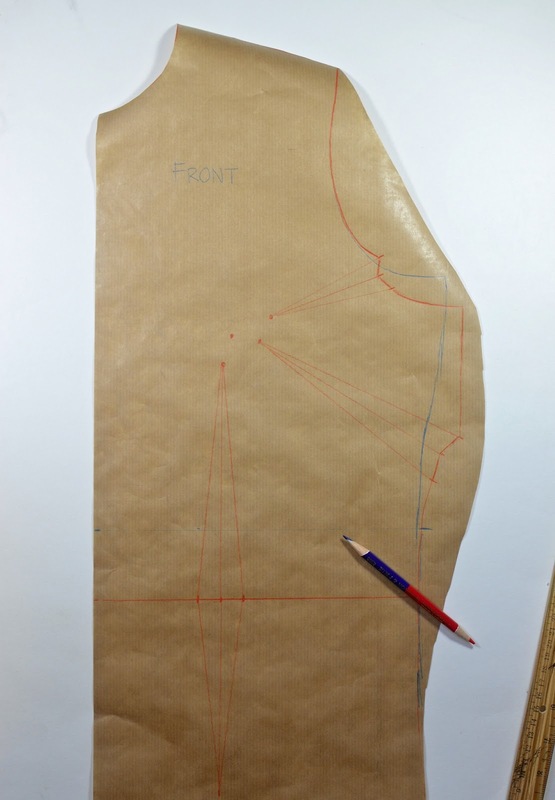 Draw another line from that point to the hip to complete the new contoured side seam. 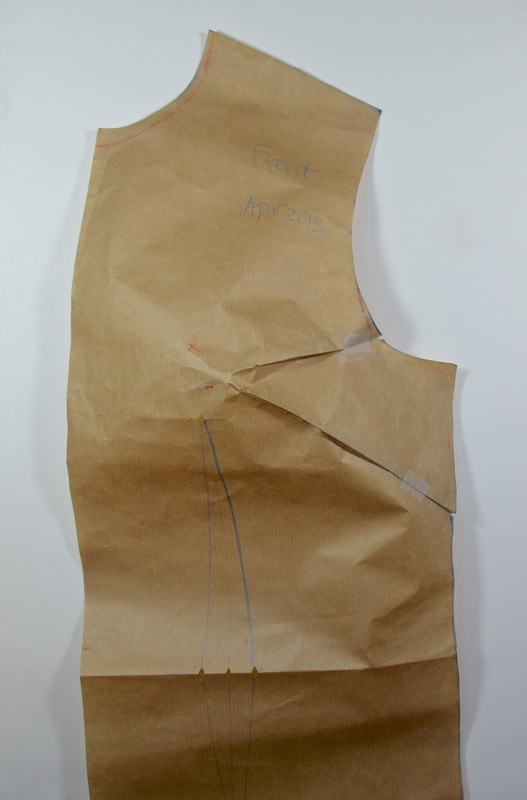 The side seam has now been contoured to take the place of the dart. However, this is an unnatural fit (who has a pointy waist? No one that I know of). So we manually smooth out that angular corner at the waist. The back block is now complete, at least theoretically. You can take a marker or pencil and scratch out both darts now - we no longer need them because we have compensated for their effect in other places. 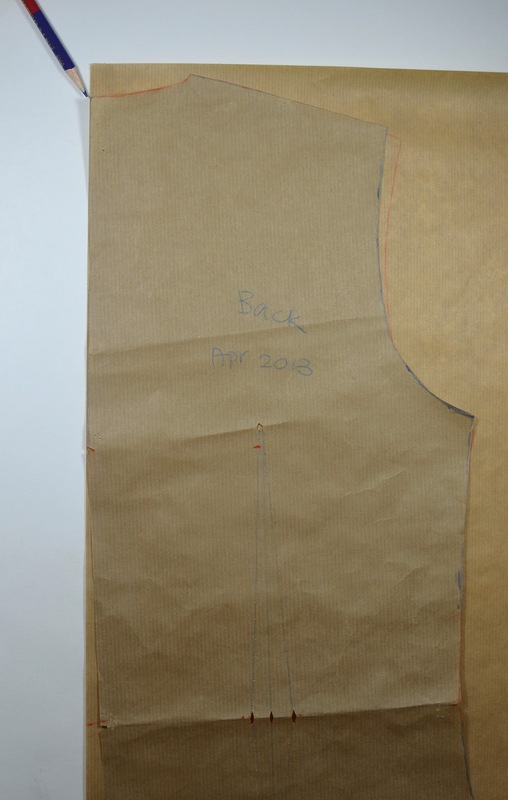 We will need to fit it in a muslin to refine the waist position (which shifted slightly in the process of closing the neck dart earlier) and the slope of the side seam). 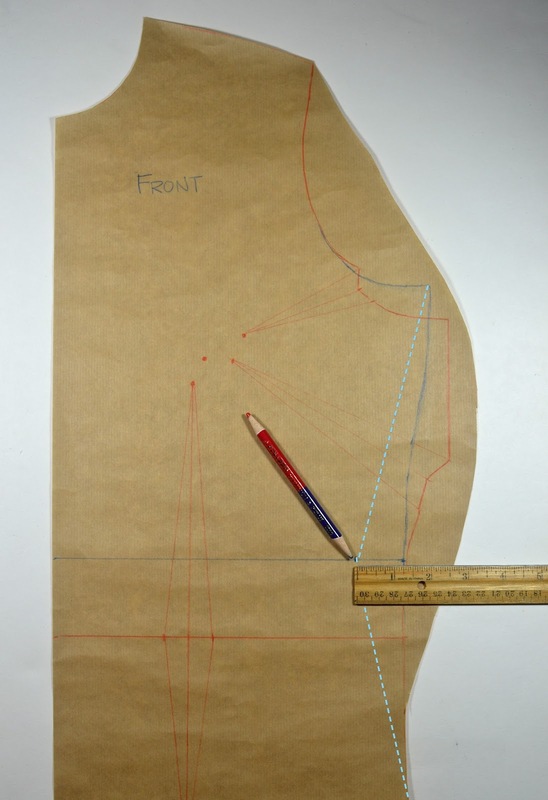 One last thing before we move on to the front block - measure the length of the side seam from the bottom of the armscye to the waist. We will need to match this length to the front block later. On to the front block now! This is a little more work than the back because there are more (and deeper) darts. 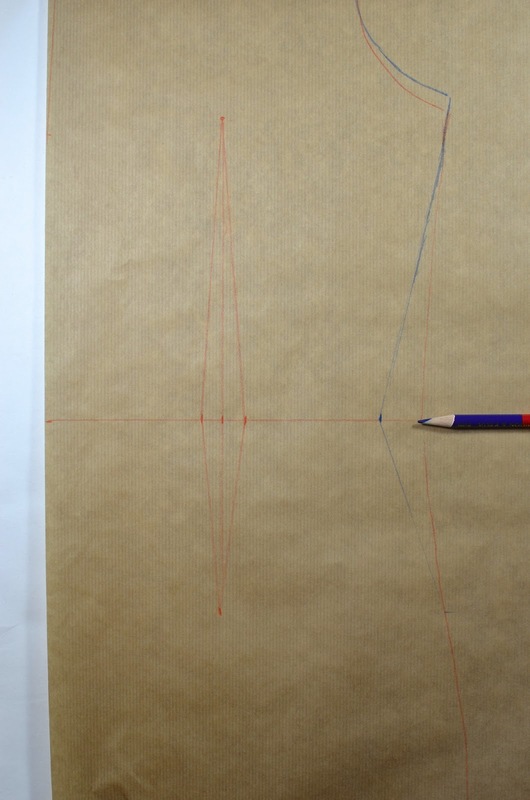 As with the back block, trace the outline of the original front block (left piece) onto new paper (right piece). 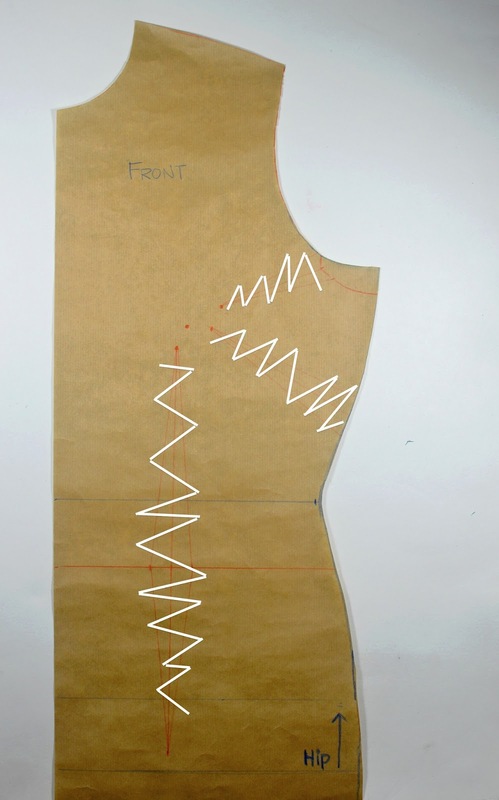 I cut out the new front block along its outline except for the armscye and side seam, where we will be manipulating the darts. Tape closed the darts on the original front block. It is now a 3D structure with some curving. We need to make it flat so we can trace around it. Fold/scrunch up/pleat the front block so that the center front line is perfectly vertical (indicated by the double-headed blue arrow). The bust region will be all squished. That big horizontal pleat in the bust region is the space originally drafted in to accommodate the bust in a non-stretchy garment. As part of that accommodation, the waistline was moved lower to provide that extra vertical space (manifested by that pleat). 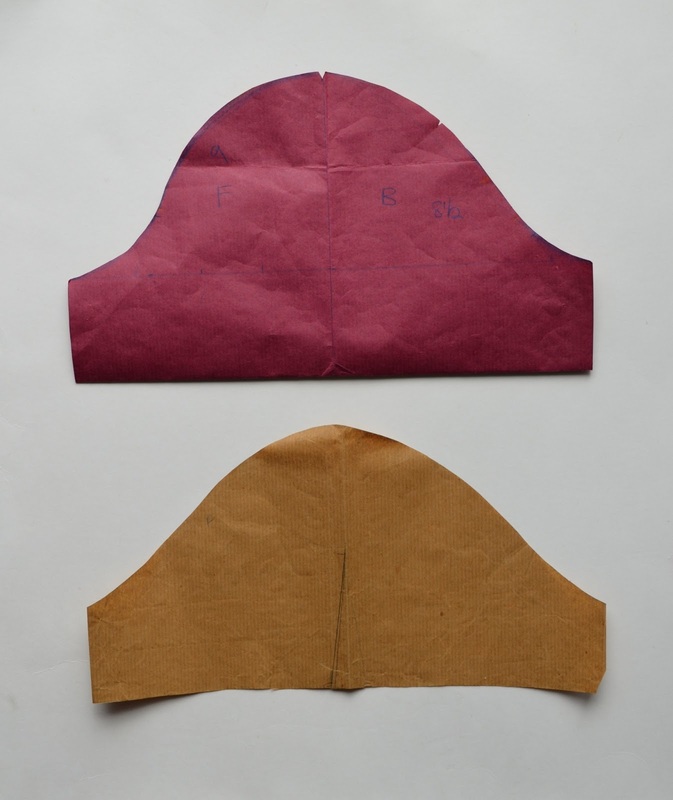 Now that the pleat has been folded shut, the waistline is going to return to its original (i.e.higher) position. Now align the important reference points (all the blue arrows) of the original block with your newly-traced outline. Trace around this new outline. Also mark the new waist position). 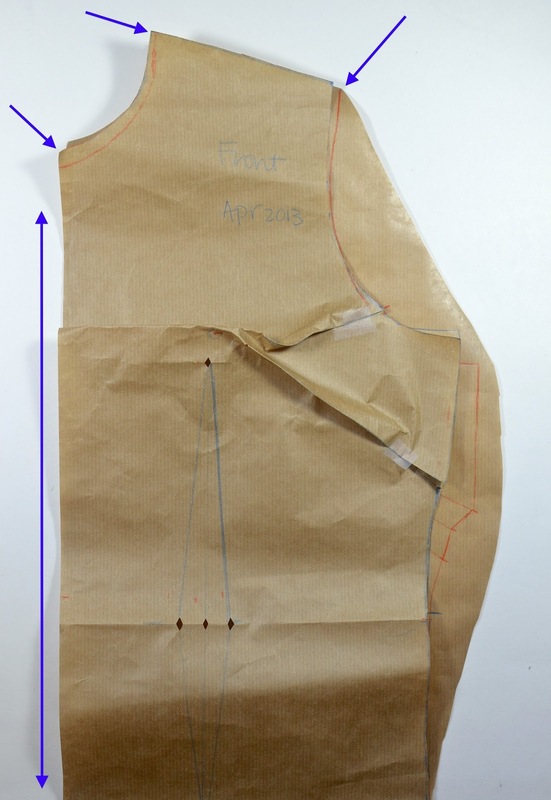 closing the darts changes the shape of the armscye, the side seams and the waistline. The hipline (not drawn, but indicated by turquoise arrow) has also been shifted upwards and by the same amount as the waistline. We will see this later. As a check, measure the side seam from the bottom of the armscye to the waistline. Its length should match the side seam of the back block, which we measured previously (look for the earlier photo with a yellow arrow). and mark a point that same distance inwards from the waistline. but, again, nobody's body is shaped like that. 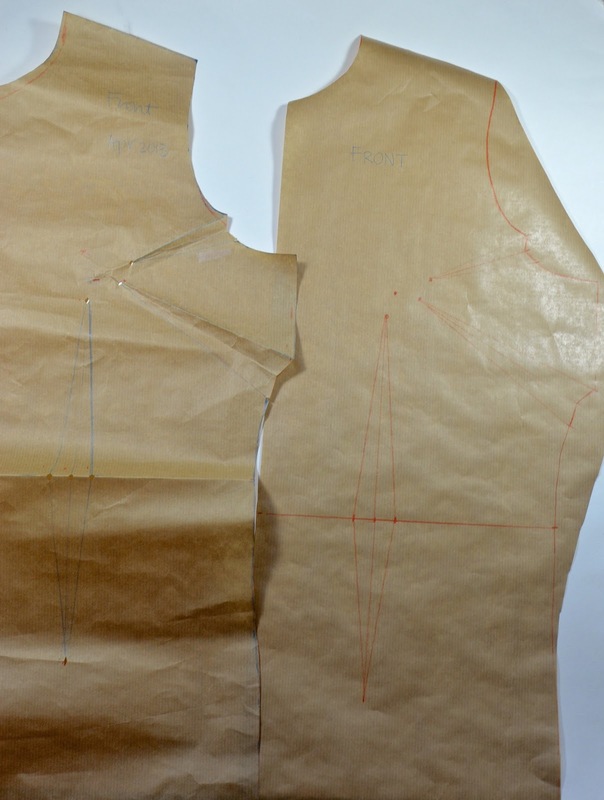 So we manually draw that new side seam to mimic the natural curves of the body. You can also see the new hipline finally drawn in. Now cut out your dartless front block along the new blue outline and scratch out the darts. All finished! Remember that, ease-wise, this will require some adapting when you turn this block into different sewing patterns for different fabrics you work with. It could be that for a woven fabric (e.g. 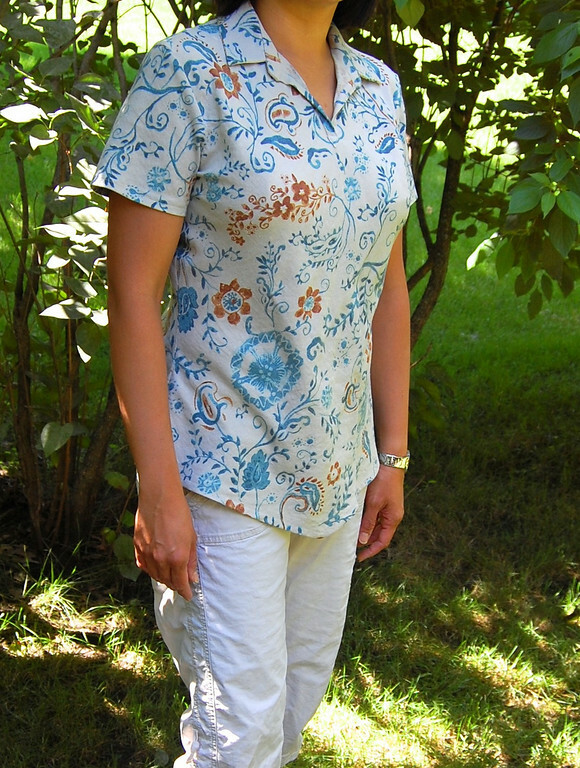 linen) cut on the bias, you'd find that you need very little adjustment because the fabric drapes rather than stretches. 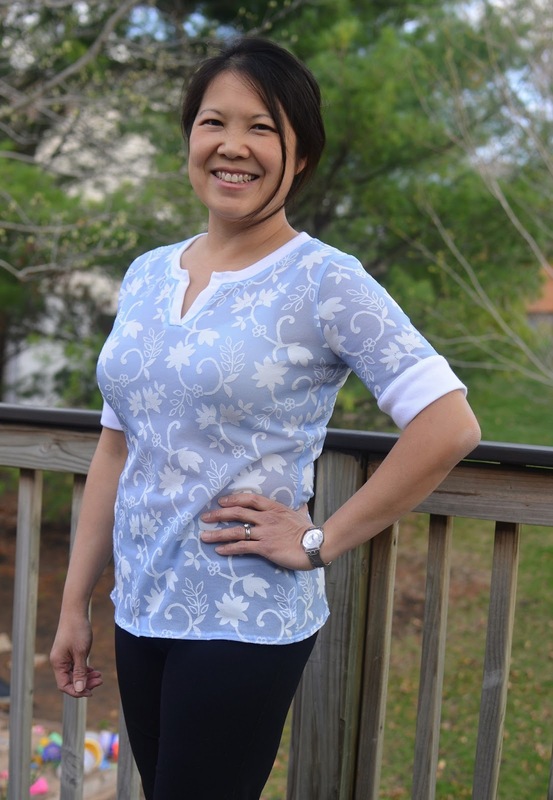 But if you made a snug garment out of very stretchy lycra or Tshirt interlock knit, you might find that you need to take in quite a bit of ease at various places because the fabric stretches rather than drapes. And it could even be that your final stretchy shirt has smaller dimensions than your actual body. This is what some people call "negative ease". Now you know what it is and how it arises and why it's present in some drafts and not others. However, irrespective of the adaptation, the slope and width of the shoulders, the size of the neck, the height of the waistline, the shape of the armscye and other important features remain constant, which is why we say we only need one dartless block for all fabric types. That said, if you want to create a collection of different slopers (darted or dartless) for each kind of knit fabric in your stash and fine tune each one to scientific preciseness, go right ahead. I hate collecting paper patterns (they take up so much precious space) so I'd rather just save one dartless foundation block and make a wearable muslin each time I need to work with a very different kind of knit fabric. All done now! 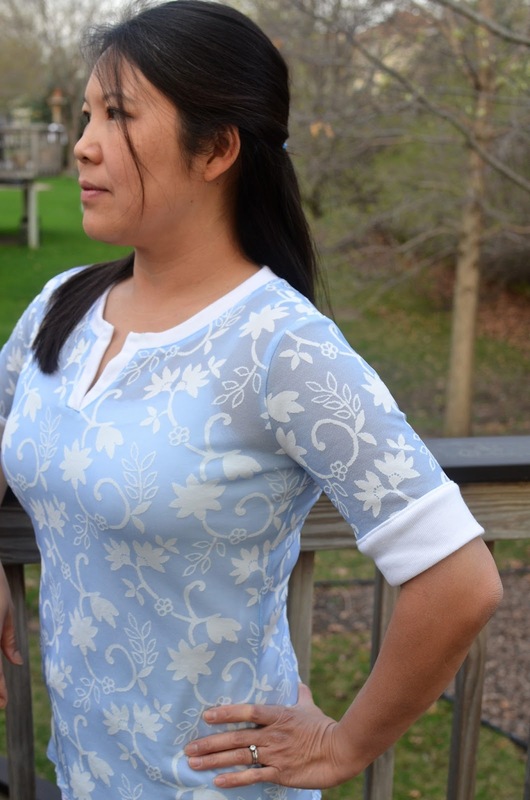 I am not going to do the raglan-sleeve sloper here on the blog because I'm bored out of my mind drafting foundation blocks and kinda tired of looking at brown paper pattern thingies. And, ironically, now that I'm done with the blocks and muslins, I don't really feel like making real clothes. So daft. I still will, though. I'll be doing one garment from each of the earlier French dart and princess seam blocks so you can see what they look like as stuff I'd actually wear out of the house. Don't hold your breath, though. I never would have thought to take in the sides for the front and back darts, but that makes perfect sense. Now to conquer slopers - after we move, I think. DH might have a panic attack if he came home to me drawing on brown paper on the dining room table. Wonderfully informative post. Thank You. I am eager to try this using my darted sloper as the base. Your "wearable muslin" looks fantastic. This is sooo helpful! Thank you for making this so logical and sequential. I think I could actually do this instead of throwing my hands up in exasperation like I feel like doing with other approaches! Your procrastination has helped me! Thank you for taking the time to explain in detail with photos on how to do a dartless block. Off to do one now. Thank you for taking the time to explain and show with photos on how to do this. Very much enjoyed the detail and off to make one now. 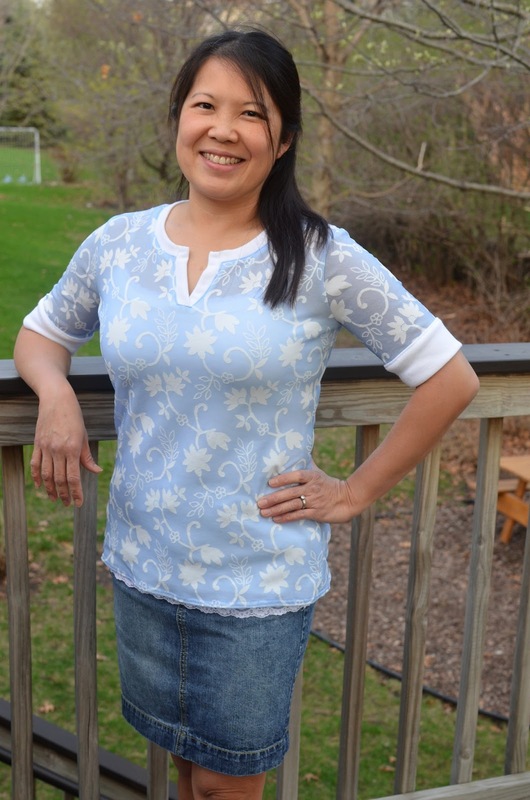 I drafted a tunic from instructions for a kurta (Indian clothing) and it fit but draped oddly. 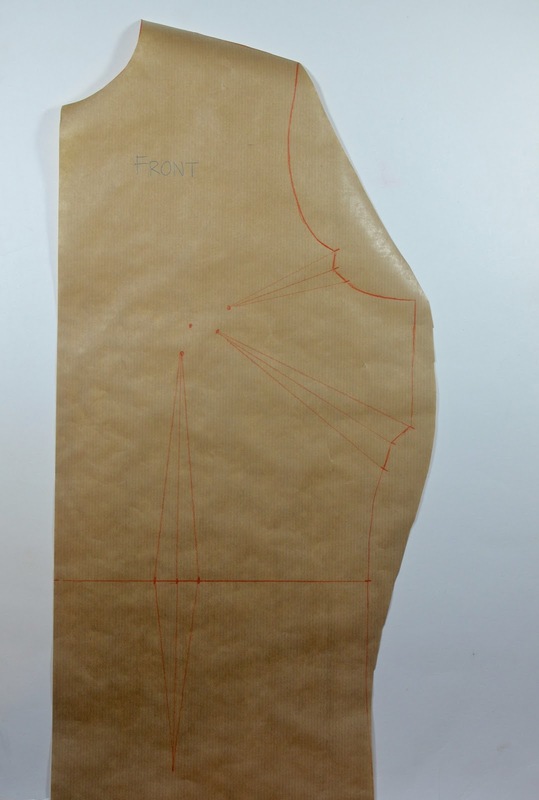 Looking at your final sloper, I think I'll try it on a bias cut and see what happens. Such a useful post! Instructions were easy to follow. I have used your tutorial to make two dresses. An Alexander McQueen and a Balmain inspired dress.